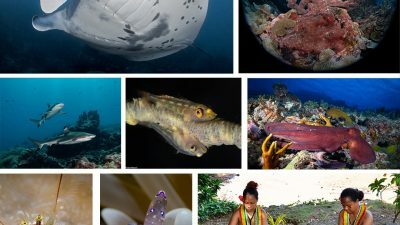 MantaFest photography workshop & image festival is going on it’s 11th year and ever-evolving with new advanced workshops and shooting scenarios. 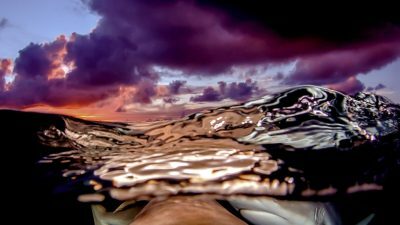 The latest addition was split image shooting at sunset with reef sharks. 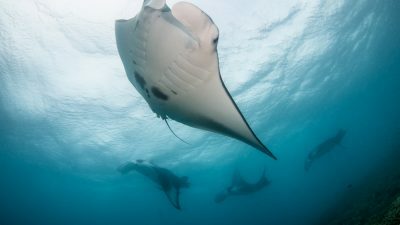 Yap, Micronesia was pinned onto the global dive map of remote and exotic locations with it’s resident population of Manta Rays, however an overlooked hallmark of diving Yap is it’s booming population of reef sharks with as-close-as-you-want encounters all year long. 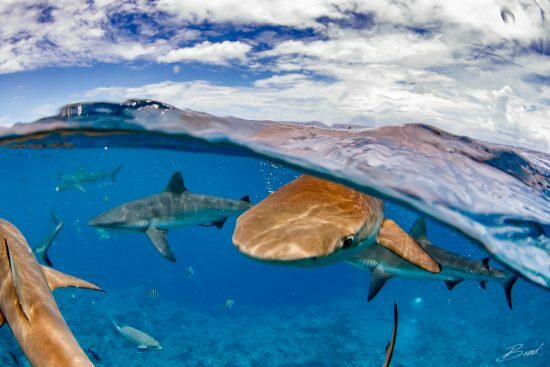 Sharks are the most consistent animal encounter diving this small island, so consistent in fact that you can hit the reef at sunset to shoot split images that require the sharks to be within inches of your dome. “Nail the split, nail the sunset, nail the shark”. 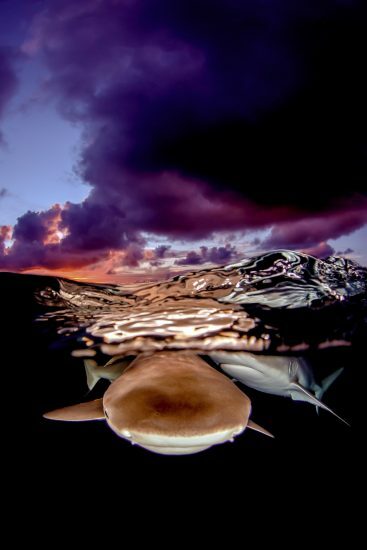 Offering a photographic challenge is part of this decade-old event and adding the “sunset shark splits” excursion quickly became the photographer’s favorite. The event has a dedicated splits workshop on the schedule with a professional UW shooter leading the learning. 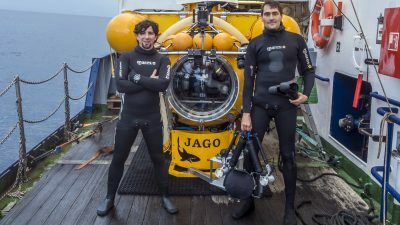 It’s a complex scenario that has limited light, a moving surface and a wild animal, getting settings dialed in and strobes in the right position and power is only half of the battle, you still have to line up the split and compose the shark. Expect hundreds and hundreds of shutter releases to yield less than a dozen frames to work with, however the images that result are very rewarding. During the two-week photo festival there are several post-capture editing workshops using Lightroom and Photoshop as well as one-on-one training with any of the presenting pros - you can shoot your shark splits and throw some new advanced editing tricks at it while sipping craft beer at the open air bar. 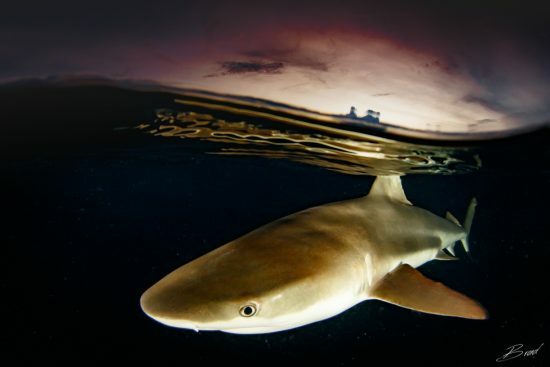 This year the shark splits workshop will be presented by house photographer, Brad Holland, who spearheaded the development of this photographic challenge and will be working with guests in the classroom, on the boats and on the computer to help grow their photography. 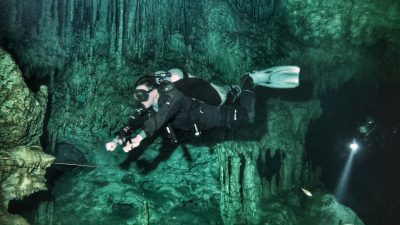 Learning is the focus of the two-week event, but everybody goes home with some of the $20,000 dollars in prizes that are handed out in photo and video image contest for DSLR, compact and action cameras. 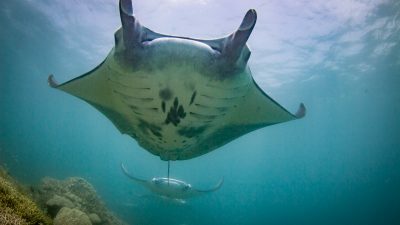 August 25th - September 9th 2018 is the next MantaFest photo event.